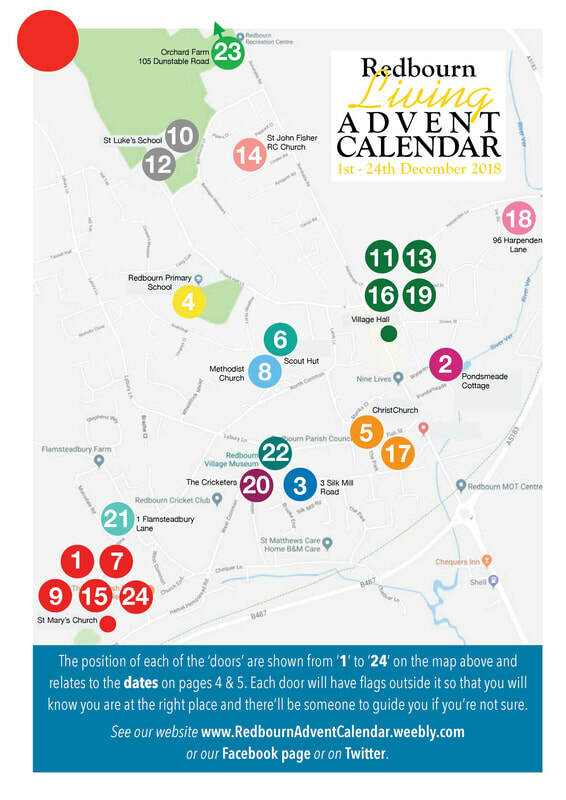 ​Rather than sitting at home during Advent, why not get out into the village and open a real door to find a surprise behind it? There will be a performance every evening starting promptly at 6.15pm, lasting 15 minutes. Every performance will be suitable for both children and adults. Click here to see which doors will open on each day of Advent. You’ll go in through some doors and stand outside some doors so please dress appropriately for the weather. Make sure you’re there just a few minutes early so that you don’t miss the start. Each door will have flags outside it so that you’ll know you are in the right place and there will be someone to guide you if you’re not sure. Most venues will have limited parking, so it’s best to walk. 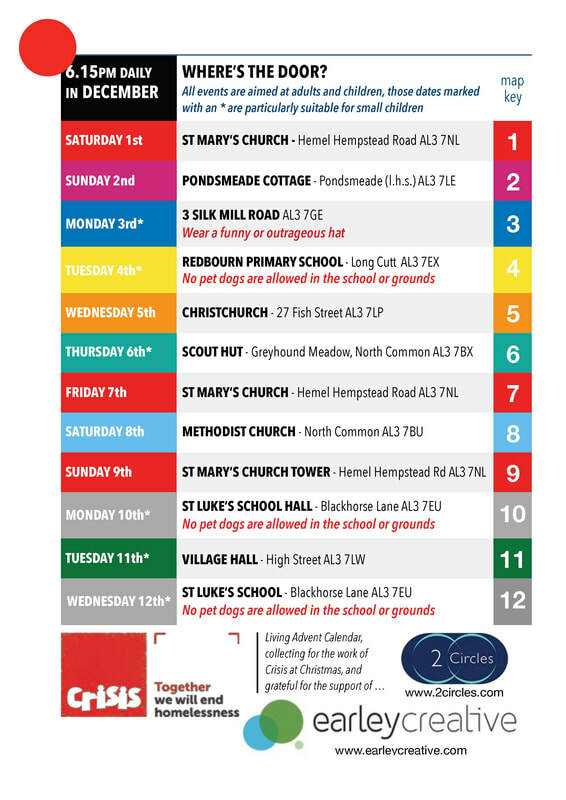 Look inside each door to find out where to go each day, or look out for a leaflet and map through your letterbox sometime in November (to every household in Redbourn) with all the details.